How to celebrate Hearthstone's first marking of the Lunar New Year event. Our Hearthstone Lunar New Year guide contains details of the start and end dates, the free Golden card on offer, and the new pack bundle available in the store. Hearthstone's getting its very own Lunar New Year event in 2019, with new quests to work through in exchange for more generous rewards, a special discounted card pack bundle to purchase from the in-game shop, and a new emote to taunt your opposite number with. In this article we've pulled together everything we know about Lunar New Year into one place, and we think it should answer just about any question you might have about the event. If you think we've missed anything, do let us know in the comments and we'll add it in with the next update. Hearthstone's Lunar New Year 2019 event begins on February 5th. The event will end at some point on February 12th. Log into the game at any point while the event is live and you'll unlock a free Golden copy of everyone's, er, favourite card Fireworks Tech. If you can't see yourself making use of this one, you can always cash it in for some free crafting dust. A new pack bundle will also be available from the in-game store for the duration of Lunar New Year. 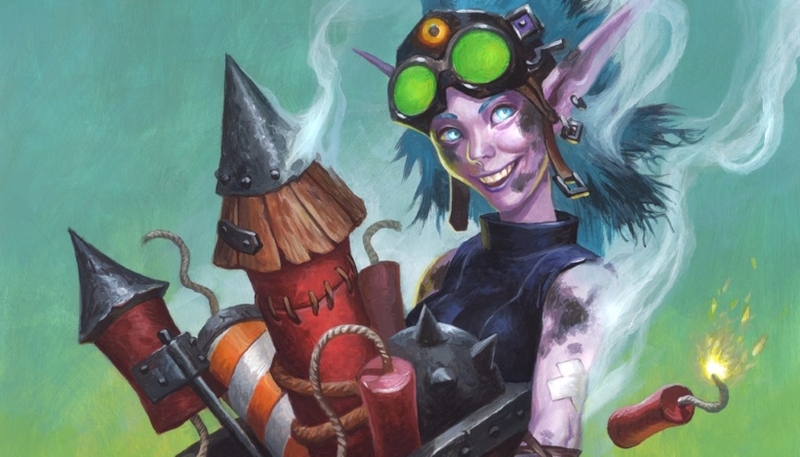 Titled the Lunar New Year Bundle, it contains 10 packs each from the Witchwood, Boomsday and Rastakhan sets which were all released during 2018. If you've fallen behind on your card collection, this might be a good time to stock up before 2017's cards rotate out of the Standard component of the game altogether, and 2018's become an increasingly important part of the ladder. The Lunar New Year Bundle costs $19.99. Blizzard hasn't provided any information about the new quests, beyond the fact that they'll reward you with both gold and crafting dust as you complete them. If more detail emerges between now and the start of Lunar New Year, we'll add it into this section of our event guide. Again, we've no insight into the exact nature of the new event emote being added to Hearthstone, but it'll likely be similar to that from the Winter Veil event, where every hero had a chirpy festive greeting for their opponent.